Q: I am getting anxious to wear my boots, but it’s still hot where I live… is September too early for boots? – Joan M.
A: There are so many uber-stylish, versatile boots that are perfect for all year-round now! 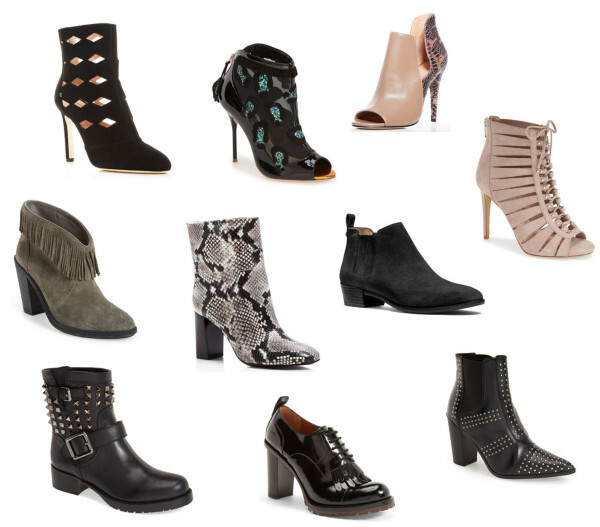 Booties, ankle boots, shooties (a shoe/boot hybrid), moto boots — these styles are great any time of the year. The shorter the boot and the more open (open toe, lace-up, etc. ), the less warm they will be on you. Now, tall boots (knee-high and over-the-knee) should be saved for when the weather cools down, as these would look a little ridiculous and be uncomfortable when it’s summer or still warm outside. Oh, and save the oh-so-haute-for-fall velvet booties for cooler weather. But, we have been wearing our booties all summer with shorts and minis, so enjoy! Here are a few of our favorite year-round boots. And, here are some more of our favorite booties we styled recently in Fab from the Lab | The Go-With-Everything Bootie and Fab from the Lab | Teal Has Never Looked Better. Plus, check out our video — Shoes for All Seasons — for more year-round shoe styles.